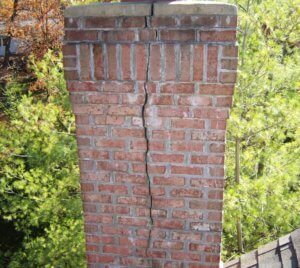 We have the knowledge, experience, and expertise for any masonry repair that is needed for your chimney. Our goal is to provide our customers with expert quality service and satisfaction to make sure your chimney repair job goes through smoothly and is done right the first time by our qualified masons. When we leave, the job site will be as clean as or cleaner than when we got there. We care about our customers and will accommodate them every step of the way from the consultation to the completion of the project. 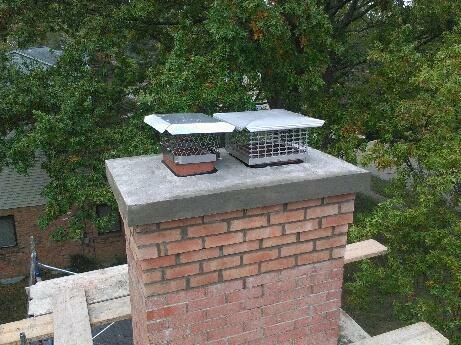 Be sure to see our recent chimney repair projects. The crown is the layer of cement sitting on top of the last row of brick and its purpose is to shed water away from the chimney. It’s normally 2 — 3 inches thick and starts high at the flue tile then slopes down to the edge of the bricks. Unfortunately, since cement is porous it allows water to penetrate and will eventually crack when the freezing weather begins. 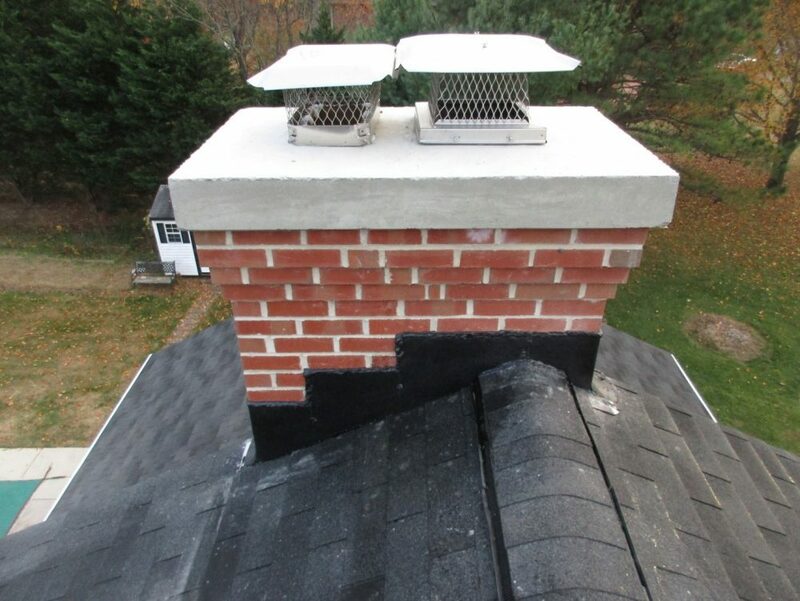 Failing chimney crowns are a common cause for chimney leaks that result in chimney repairs. Want to learn more? 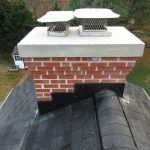 Read this article that covers chimney crown repairs in general. Crown Guard is applied when the concrete crown is cracked but is still structurally intact. The surface area of the current crown is first cleaned, then the Crown Guard is applied over the existing crown and covers all the surface areas of the crown. Crown has unique rubberized property the allows it to flex with the concrete and does not allow water to penetrate. Once it is applied, it has a permanent bond to the masonry and will not peel off. Crown Guard is ideal for repairing cracked crowns but can also be used over new crowns to preserve it. Crown Guard comes with a limited lifetime guarantee from the manufacturer, and All Pro Chimney Service offers a 3-year labor free warranty. The concrete crown is rebuilt when the original crown is no longer structurally sound. This is how All Pro Chimney Service rebuilds the concrete crown. For more information “click here” to check out our blog on concrete crowns. 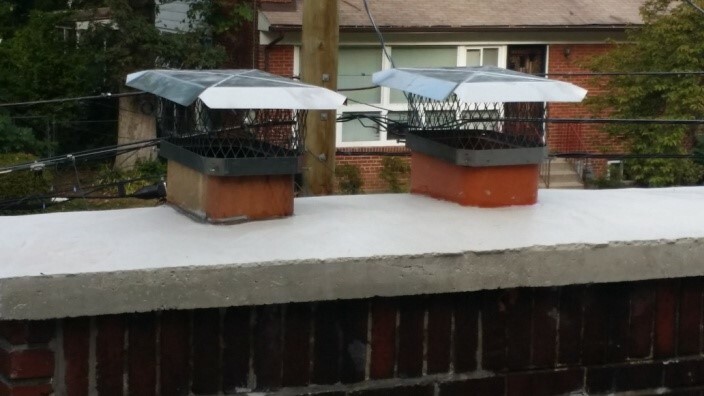 The original crown on top of the chimney is removed, the surface is cleaned and prepped so the new concrete crown will adhere properly to the bricks. We brush on a bonding agent to the surface area. We add PWR waterproofing powder to the concrete mix so the new crown is waterproof as soon as it’s dry and we also add a bonding agent to ensure proper adhesion to the bricks. We apply the concrete base and set wire mesh on top to reinforce the crown. We apply more concrete and pitch it off to the edge of the bricks. Want to learn more? 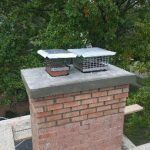 Read this article about chimney crown replacement. 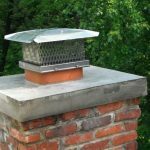 All Pro Chimney Service offers a 3-year warranty on the concrete crown from cracking or weathering away and a 3-year labor free warranty. Floating Cast Crowns add a nice architectural flare to the chimney and are great for chimneys that have a history of crown leaks. The original crown on top of the chimney is removed, the surface is cleaned and we check the top course of bricks to make sure that they are not loose. We build the form for the crown using 2×6’s and 2×4’s to give it a 1 1/2″ overhang past the bricks below it. 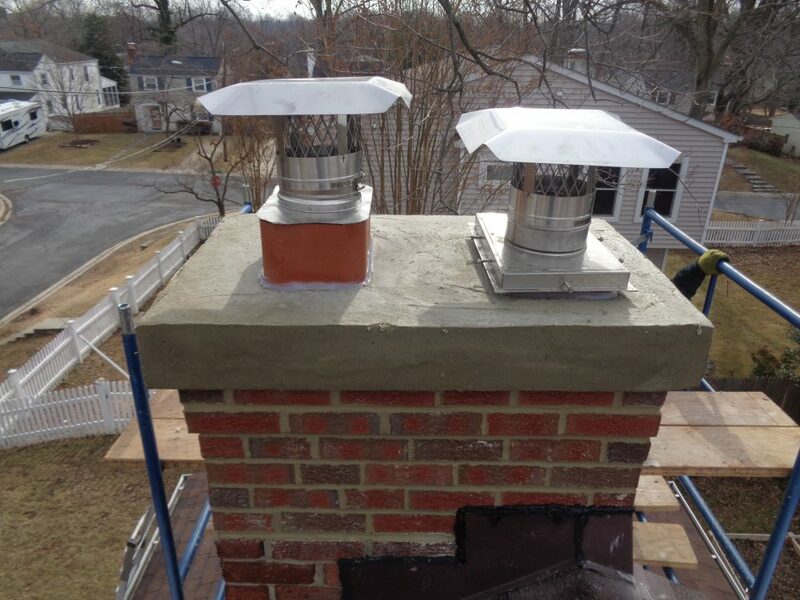 We set the stainless steel sheet over the bricks and wrap the flue liner(s) with foam for an expansion joint. We install the rebar on top slightly elevated to reinforce the concrete. We pour the concrete tap on the form to make sure the concrete settles in. Want to learn more? Be sure to read this article about floating cast crowns. 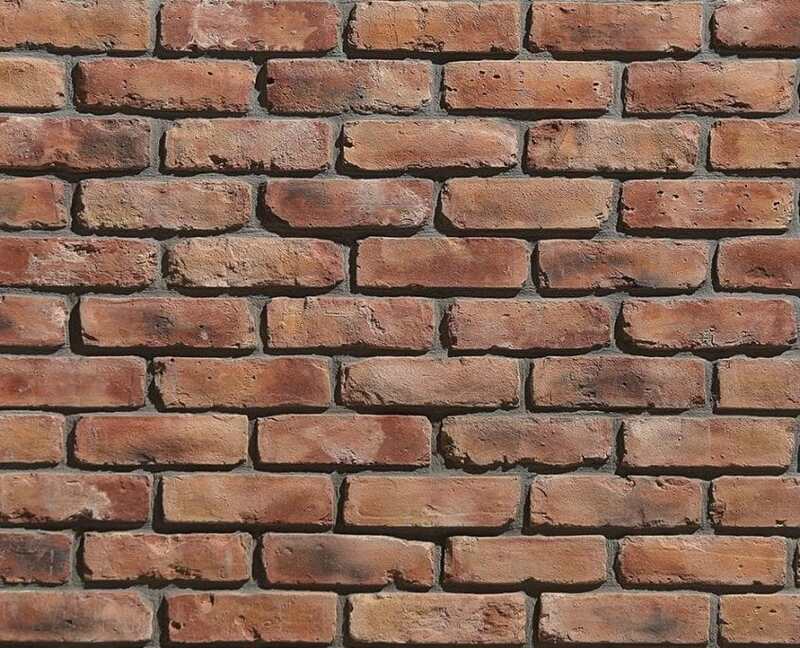 Tuck-pointing or re-pointing is required when the mortar joints are disintegrating or cracked. The typical cause for this problem is water damage or settling. Disintegrating mortar joints caused by water damage will usually involve more work because it covers a larger area. 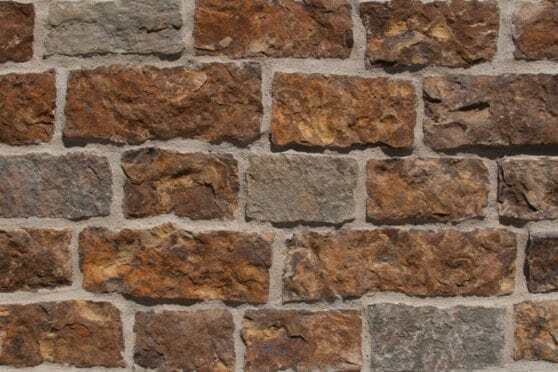 The cracked mortar joints caused by settling will usually be a few joints separating that are running diagonally and may involve replacing some cracked bricks as well (spot cutting). The first thing to do when tuck-pointing is to remove all loose joints then clean the surface thoroughly. Next, the new mortar, which contains a bonding agent is added to it to ensure a proper bond to the existing brick and mortar, is applied. Once the mortar is set, we strike it to give a nice finished look and then brush off any excess mortar for a clean finish We recommend waterproofing the newly re-pointed joints and surrounding areas 30 days after the completion of the job to allow the mortar to cure. Waterproofing the chimney will help prevent future repairs. 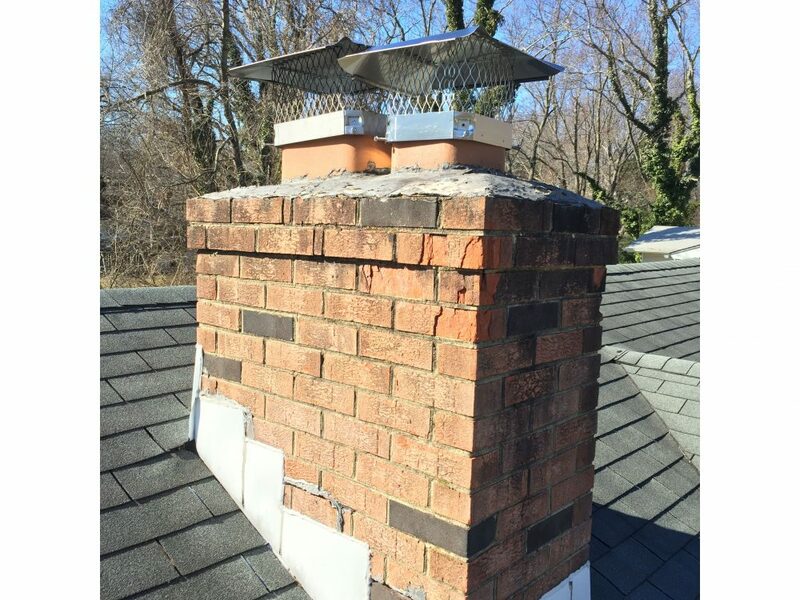 All Pro Chimney Service offers a 3-year warranty our re-pointing work from disintegrating and cracking and a 3-year labor free warranty. 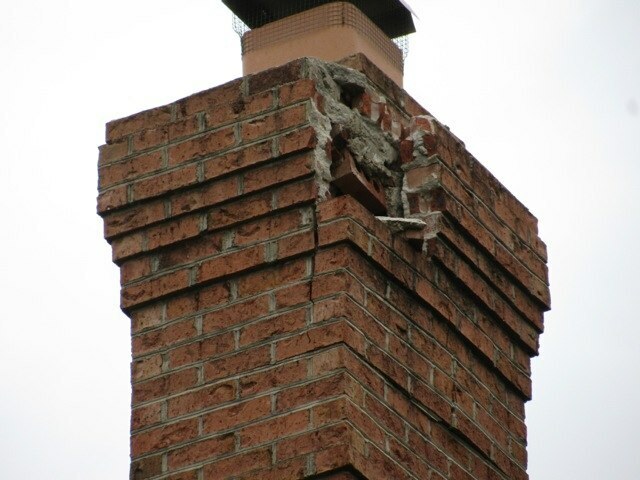 The rebuilding process is required when the chimney is severely damaged, and the damages are beyond the routine repairs of re-pointing or spot cutting. Rebuilding the chimney does not necessarily mean taking down the whole chimney and rebuilding. In fact, most chimney rebuilds are done from the roof line up because that’s where the chimney is exposed to the elements the most. The rebuilding process starts with gaining access to the area where the work is to be performed. Then we’ll take down the chimney to a reliable or structurally sound area and prep the surface before we begin to lay the new brick and mortar. 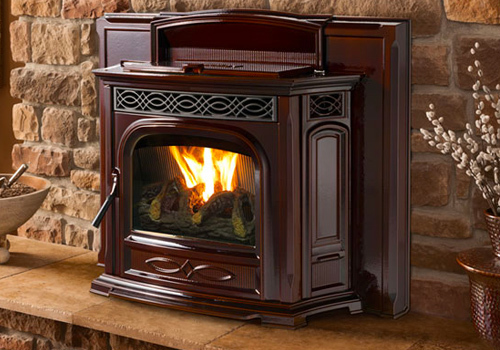 The chimney or firebox will be rebuilt to the original design unless the customer says otherwise. 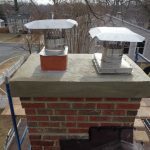 All Pro Chimney Service recommends waterproofing the rebuilt area and surrounding areas 30 days after the completion of the rebuild to allow the new mortar to cure (does not apply to firebox rebuilds). Waterproofing the chimney will help prevent future repairs. Chimneysaver is applied to the chimney as a preventative means to protect the chimney or to help prevent further damages. Because the chimney is located on the outside of the house, it is vulnerable to the elements, porous and will eventually allow water into the house. Just like the crown, the chimney will allow water to penetrate and eventually after enough freeze and thaw cycles the bricks will begin to spall (when the faces of the bricks pop out) or the mortar joints will deteriorate leading to hundreds or thousands of dollars in repairs. The Chimneysaver waterproofing is applied to the chimney with a low-pressure sprayer. The waterproofing itself will soak into the brick and mortar about ¼’’ or deeper and is 100% permeable, which means it won’t trap water vapors that are trying to escape from the chimney while the chimney is in use. This is important because if the water vapors are trapped it can cause more water damage. 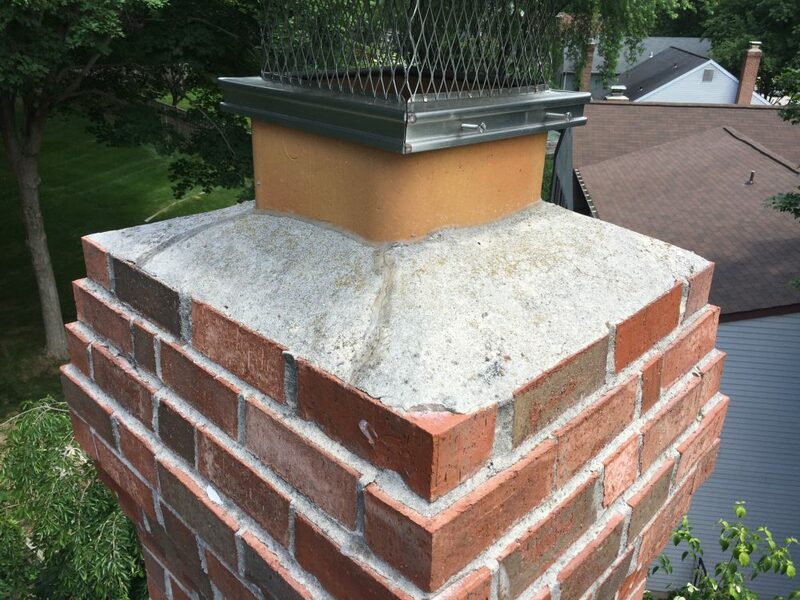 All Pro Chimney Service strongly recommends waterproofing the chimney after any masonry repairs have been made to the exterior of the chimney. 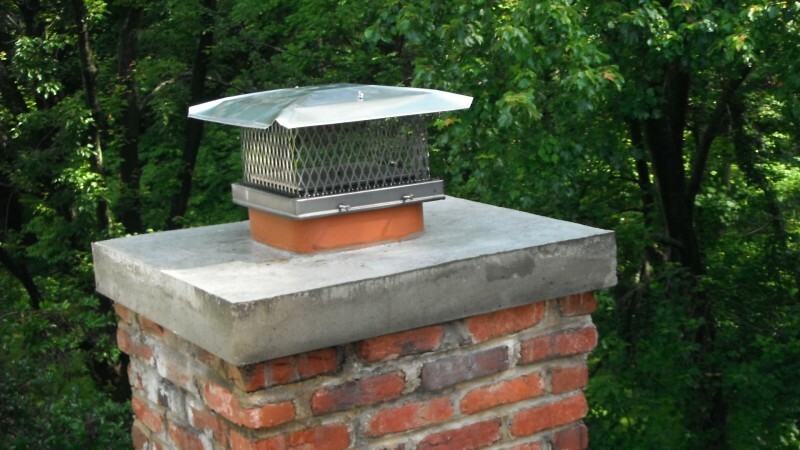 Chimneysaver offers a 10-year manufacturer’s warranty and All Pro Chimney Service offers a 3-year labor free warranty. Using a brick or stone veneer is a great way to transform your fireplace, chimney, or interior and exterior walls of your home. 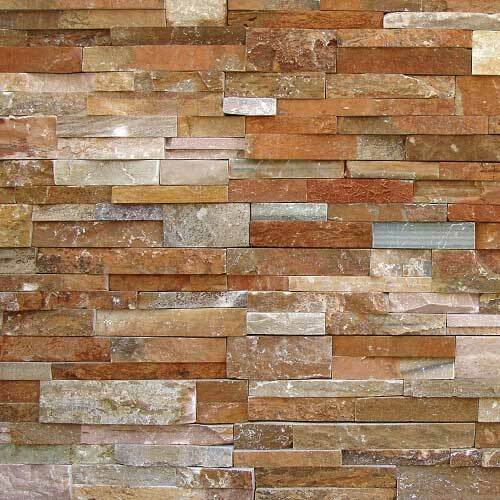 They give the appearance of the natural brick or stone but won’t carry the same the cost. 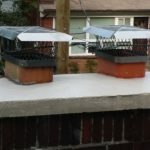 They can also be installed in areas where regular brick and stone can’t be because of size, weight, and support issues. 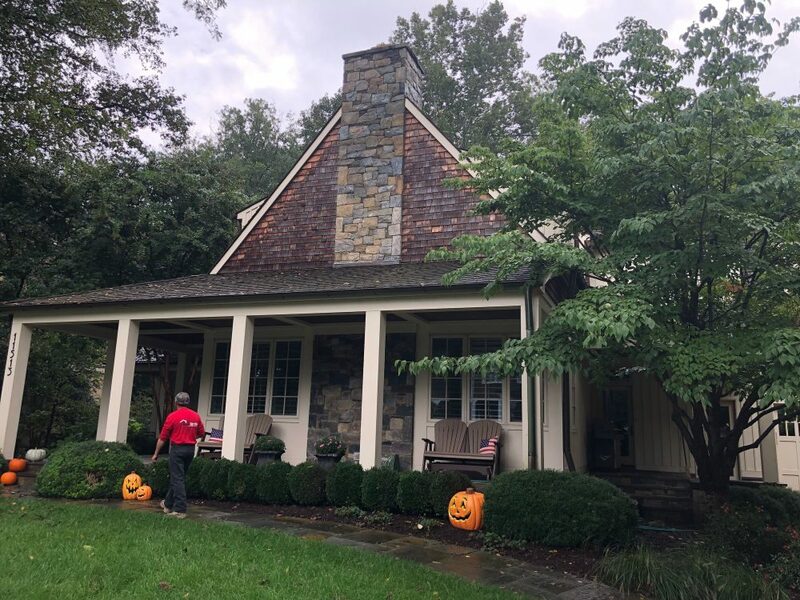 All Pro Chimney Service offers a 3-year warranty on our installation of brick, cultured stone, or natural stone veneers from falling out or having cracked and disintegrating mortar joints and also offers a 3-year labor free warranty.